The streaming service says the refined navigation model is designed to be easier to use with a TV remote. There's now a series of tabs on the left edge of the screen. Separate Series and Movie tabs were an obvious choice, because "while a member generally isn’t sure what exact title they want to watch, they have a pretty good sense of whether they are in the mood for a quick series episode or a longer movie experience." There are other tabs for the general homepage, your queue list, and new additions, as well. 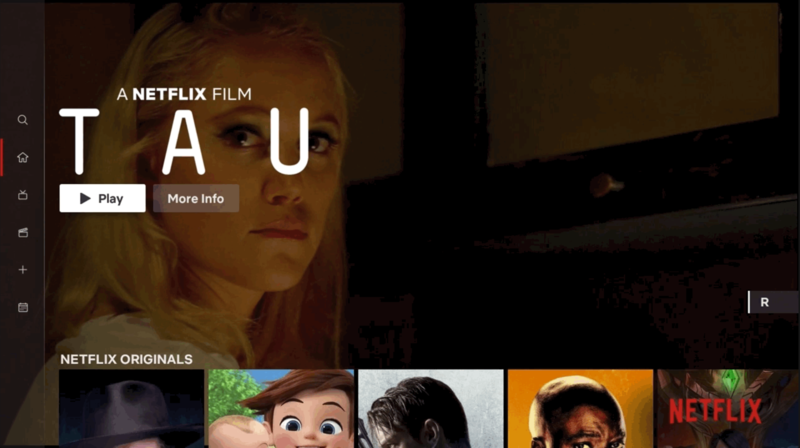 Full-screen program previews continue to be a theme and seem to be even more prevalent in Netflix's new facelift. It's safe to assume the Android TV app will see this redesign eventually, but exactly when is anybody's guess. Considering how many different TV interfaces Netflix has — built-in smart TV apps, Android TV, Roku, Apple TV, et cetera — the company announced this update in about as vague terms as possible. Fingers crossed we see it soon.